James Milner has identified consistency as the latest phase of Liverpool's evolution. Last Saturday’s 1-0 win at Brighton and Hove Albion took the Reds to 57 points from 22 Premier League games this season - a figure that has been bettered just twice before at this stage of a top-flight campaign since 1992. The shutout at the Amex Stadium was Jürgen Klopp’s team’s 13th of the domestic campaign, and only once has a Premier League side conceded fewer goals than their record of 10 after 22 matches. Mohamed Salah’s winner on the south coast represented Liverpool’s 50th top-flight goal of the season, and Milner believes an ability to ally their renowned attacking ruthlessness with defensive solidity has enabled an ongoing and sustained title challenge. “I’d certainly say it is a progression. You can see how the team’s improved,” the vice-captain said in the new edition of the official Liverpool FC magazine. “It is a results business and in previous years we have not had that consistency. We have been able to play really well one week but then the next we wouldn’t have looked like the same team. Heading into the weekend meeting with Crystal Palace at Anfield, the Reds sit four points clear of Manchester City at the top of the table. 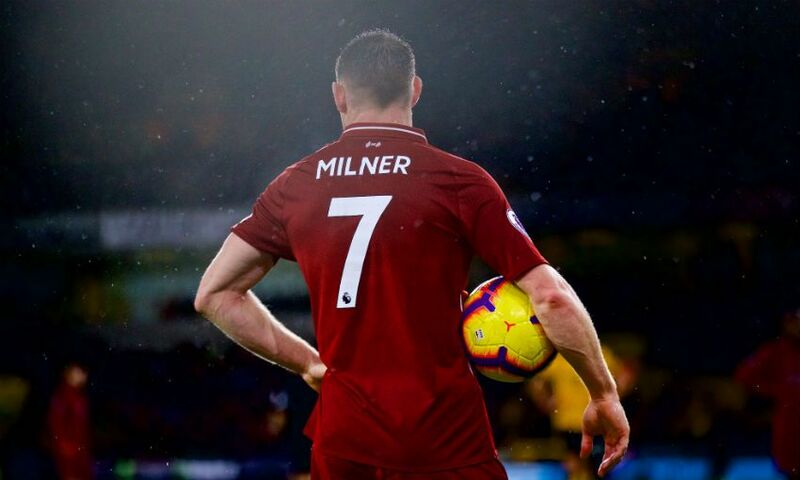 Milner, of course, is a man with first-hand experience of successful title pursuits from his time at the Etihad Stadium, and the No.7 warned there is plenty more work to be done if Liverpool are to end the campaign as champions. “The biggest thing for us is that you want to get through the first part of the season and then through Christmas, which is always a critical period in the season,” he explained. “If you get through Christmas and you’re there or thereabouts, I think you have to be considered as challengers - but we also know how tough it is. “I know how difficult it is to win a Premier League and that’s why everyone wants to win it. It’s so special when you do achieve it because of that level of difficulty. There are 38 games where you have to deliver and be on your best form every week and that is a tough test. To be where we are at this moment in time says that we are a good team but there’s a long, long way to go and I’m sure there will be ups and downs to come. “Since I’ve been here, I think you’ve seen the team getting better and better, seeing that consistency, seeing the team being able to win in different ways. This season we haven’t played well in every game, but being able to deal with little blips and below-par performances and having that bit of luck which you always need and finding a way to win games is an important attribute. “You can see how solid we are as a unit defensively and we’ve also seen the manager change the team and deal with injuries.